Libratone Zipp BT review | What Hi-Fi? 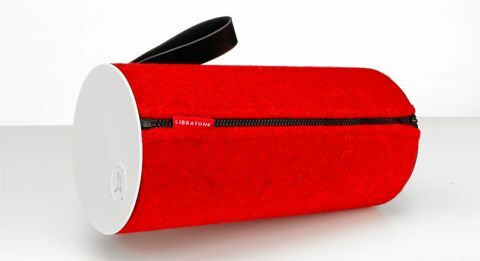 We’re big fans of the Libratone Zipp BT, and not just because of the bright woolly covers. The original Zipp wowed us with its extensive steaming features and superb sound quality. And with new Bluetooth powers and an all-new price of £300, the updated Libratone Zipp BT is even more tempting than before. It sounds gorgeous. The Zipp BT easily fills the room with subtle and refined detail, delivering each note of a song with a lively, agile rhythm. Timing is precise, and the fluid dynamics ensure your attention is drawn to the music. Open and expressive, the Zipp BT is a lesson in how to deliver a big, uniform distribution of sound. Libratone’s ‘FullRoom’ technology (which uses a 10cm-bass driver, a pair of ribbon tweeters and the cylindrical design to spread sound evenly) works admirably. There are layers of detail, and voices are nuanced, direct and full of character. Corey Taylor’s gravelly tones on Bother are subtle, as are the The Unthanks’ haunting vocals. Libratone never allows the open top end to sound too bright, and the bass is never out of shape. The smooth presentation makes it easy on the ears – and forgiving of low-res audio files. It’s this easy-going, fuss-free character that’s at the centre of the Zipp’s appeal. Some rivals add a little more bass authority or a bit more attack, but we’re more than happy with the Libratone’s nicely balanced nature. There's decent weight underpinning songs, although some may want more aggression when listening to Nirvana or Eminem. Made of high-quality Italian wool, the zip-up covers add a sense of fun and style. The upright design is classy, it looks like a quality item (bar the slightly plasticky top panel), and you can easily carry it using the sturdy leather handle. The standard colour of the Zipp is in pepper-black, but you can jazz it up – there are 10 other choices, at a cost of £40 each. It’s a shame that, underneath the woolly covers, the Zipp’s construction is a touch plain and uninspiring. Still, you do get to have a peek at the driver arrangement and how it disperses the sound in all directions. It takes a while to learn all the different LED colours on the control panel under the leather handle and on the logo button, but once you get used to it the Zipp BT is a dream to use. We’d recommend the free Libratone app, which helps you with wi-fi/AirPlay set-up, offers EQ settings depending on where the speaker is placed, and has plenty of listening modes to play with. The Zipp BT has a long list of streaming features: AirPlay, DLNA and Libratone’s own ‘PlayDirect’ option, where you can connect directly to the Zipp’s wi-fi network if you’re not near a router. The newest addition to this list is aptX Bluetooth. Pairing is fast and simple. There’s also the option of plugging in to a 3.5mm input or USB port (which will also charge your smartphone). Other new features are NFC and Spotify Connect. The Zipp BT’s battery life is relatively poor: a wired connection from your phone/tablet gets you up to eight hours, but turn on Bluetooth and stream wirelessly and you'll only get four hours on a single charge. It’s a paltry offering, especially next to some rivals. There’s no denying the Libratone Zipp BT’s charm. It’s lovely to listen to, and we’d welcome it into our homes with open arms.